What's Next for the DIS Stock Price Following Q2 Earnings? Subject: What's Next for the DIS Stock Price Following Q2 Earnings? The DIS stock price is falling today (Wednesday) after Walt Disney Co. (NYSE: DIS) posted disappointing second-quarter earnings after the bell Tuesday. DIS stock was down about 4% at $102 per share intraday following the report. This puts the DIS stock price in the red for the year, down 2.8% in 2016. Now, investors are wondering what's next for the DIS stock price after the media giant's lackluster earnings results. We'll discuss the future for the DIS stock price in 2016 shortly. But first, let's talk about why Disney's earnings results were so poor. Disney reported Q2 earnings of $1.36 per share, which missed analysts' consensus estimates of $1.41 by $0.05. This was the first time Disney missed EPS estimates in five years, according to CNBC. Disney also missed consensus revenue expectations of $13.21 billion by $240 million. Disney said the performance of sports network ESPN, which accounts for over 50% of its media network revenue, improved due to lower programming costs and higher revenue from its affiliates. But ad sales at the network also fell 13%. The company said there were fewer sports games that took place in the second quarter, CNBC reported. Disney didn't provide guidance for how many subscribers ESPN added or lost in its second quarter. For Disney's parks and resorts division, revenue also fell short of analysts' expectations. Revenue came in at $3.93 billion versus the consensus estimate of $4.03 billion. Disney's studio segment was its only division that enjoyed revenue growth. Revenue in the quarter came in at $2.06 billion, which beat expectations for $1.9 billion. It was propped up by Disney's hit movies like "Star Wars: The Force Awakens" and "Zootopia." It was a bad second quarter for Disney – no denying that. But to understand how the DIS stock price will perform in the future, let's look at Disney's most scrutinized sector: its cable and broadcast segment. Investors put a lot of weight on this segment because it accounts for almost half of Disney's revenue. Sales in the segment for this quarter were $5.79 billion, missing analysts' consensus estimate of $5.9 billion. One of the biggest laggards out of Disney's cable networks is ESPN. But in the company's conference call, CEO Bob Iger said that Disney is building a relationship with its subscribers and that there are some positive signs. Iger noted that distributors like Sling TV said they saw an encouraging boost in viewership after adding ESPN to their list of channels. Disney will need to continue negotiating business deals with streaming services if it wants its networks to stay competitive. That may entail Disney adjusting its pricing to compete with popular online-streaming platforms, or else its cable segment will keep dragging. For now, Disney is leaning on its other segments to produce growth. And that's a smart move that will stabilize the DIS stock price in the short term. Disney's parks and resorts division, while missing analyst revenue expectations, grew its operating income by $50 million since Q2 2015. Disney is launching its new Shanghai resort in June. Analysts predict the $5.5 billion theme park will attract 12 million people in its first year, according to the Nikkei Asian Review. The additional revenue from the resort will be actualized later this year. Disney's studio division is also enjoying a big boost from its Star Wars franchise. The company is already working on its next movie in the "Star Wars" series, as well as a spin-off that follows the adventures of a young Han Solo. The "Jungle Book" and "Captain America: Civil War" were big box-office hits in 2016 that'll impact Disney's Q3 results. "Captain America" is already on track to earn $200 million in domestic revenue over its opening weekend. In addition, Disney is also rolling out new Marvel movies in 2016. Disney has a price target of $122 by September 2017 based on the average of 33 analyst estimates. That's about 20% higher from its current price of $101 on Wednesday intraday. The Bottom Line: In the long term, continue to watch how Disney's cable segment adapts to the rise of the streaming industry. 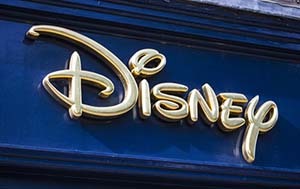 Disney will need to embrace streaming companies like Hulu and Netflix Inc. (NYSE: NFLX) if it wants to grow its cable division. Disney's long-term stock outlook will ultimately depend on the swiftness of this transition. Until then, the stock will remain fairly stable, with Disney being bolstered by its parks and studio divisions.